Here at Niles Snow Removal, we're committed to providing quality services and innovative offerings to our customers and our community. As active members of the community, we take pride in the quality of our work and we take pride in the good our services are able to provide to the community we live and work in. Our customers are also our neighbors, and so not only is high quality work important to us, but so is good customer service. Customer service is one of the cornerstone of our business and building good relations with people and the community at large is something we strive for each and every day. While high quality services and innovative offerings are important, without good customer service, our hard work would be ineffective at serving our community and our customers needs. We want to take care of our community, our neighbors and our customers, as they are all the cornerstone of our business and important to the longevity of our company. With the harshness of the winters here in Michigan, snow and ice are a part of life and a chore and danger both individuals and business have to deal with. Snow can block a driveway, impede foot traffic, or keep a much needed fleet grounded in the parking lot. Ice can be both an obstacle and a danger and even a liability for your business. And dealing with both of these issues is compounded by the harsh winter cold and high winter winds. Which is why we are happy to provide and take care of many different types of clients and many different types of snow and ice removal. Whetherit's deicing a driveway and helping a mom get her kids to school, or shoveling a sidewalk and helping a business keep serving the community, we know our services are both necessary and life impacting. We take pride in the good we do for our customers and the community of Niles as a whole. 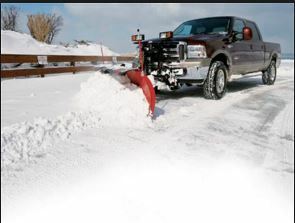 The winters here in Michigan present a host of ever changing conditions and obstacles and we here at Niles Snow Removal are proud to be able to offer a variety of innovative offerings as well as our world class customer service and rock solid reliability. We are always striving to offer our customers the most effective solutions and are always evaluating our products and services to ensure we meet our customers expectations. Whether it's ensuring the deicing agents we use are the most effective and safest options available, making sure that our services are delivered at competitive and reasonable prices, or delivering the best customer service possible, we are proud to be able to offer all manner of solutions to all manner of personal or business needs. Top quality customer service, reliable products, innovative offerings and rock solid reliability are the driving force behind a successful business and we here at Niles Snow Removal are pleased to be able to offer all of these to our family, friends and neighbors here in Niles.